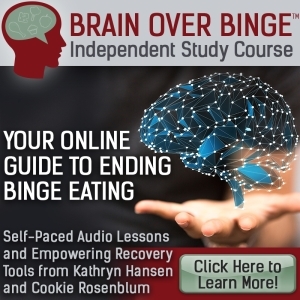 If you’ve ever been romantically involved with someone, and you struggle with your eating and your weight, this coaching session is for you. 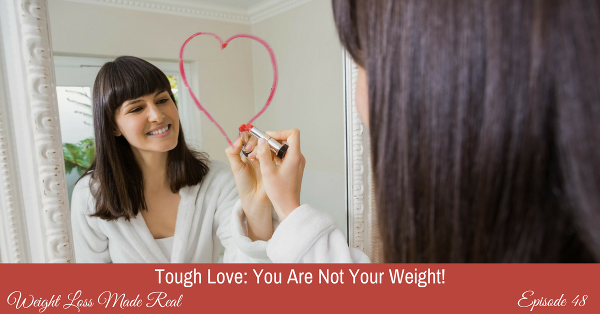 What effect does your weight have on your relationship? 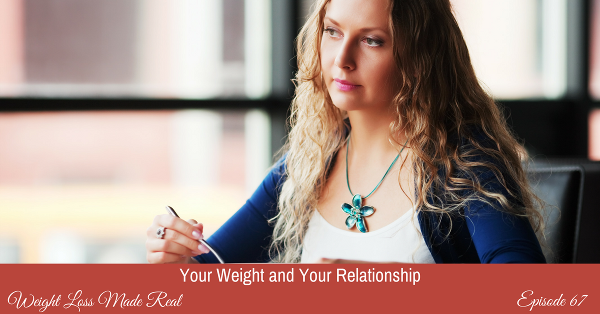 And what effect does your relationship have on your eating and your weight? The two seem so related, don’t they? You may eat when you fight with your partner, or when you feel angry with them, as if to say: this will show you! And yet at the end of the day, when you eat too much food, the only one who suffers is you. 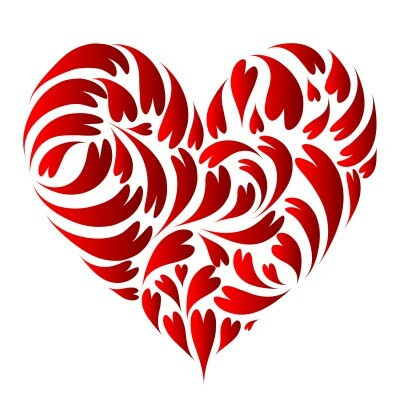 It’s time to learn to take care of yourself no matter how your intimate relationships are going. Take responsibility for eating well no matter what. Learn to take charge of your own happiness, and you’ll find that no matter what your partner does, it shouldn’t and won’t affect your weight. Does this sound like something you might need to hear? Relationships are SO important. But it all starts with your relationship with yourself. 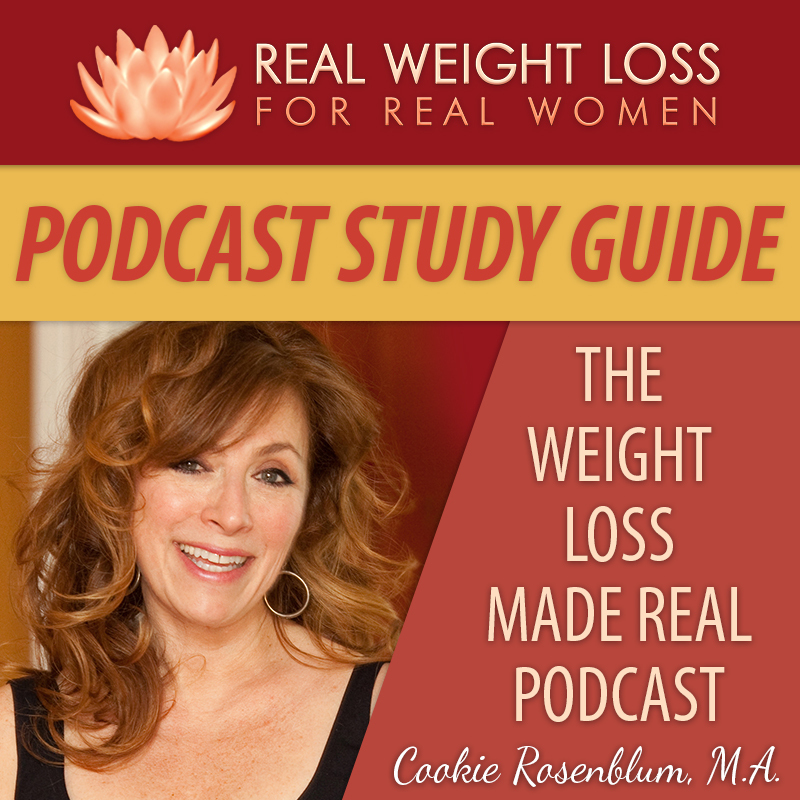 Join me as we explore the connection between your relationship and your weight. Are you a woman who moves her body? If you are, you probably will enjoy hearing all the good things you get from moving. If you aren’t, then listen up. I’ll tell you why you should do it. And we’ll then look at what might be holding you back. 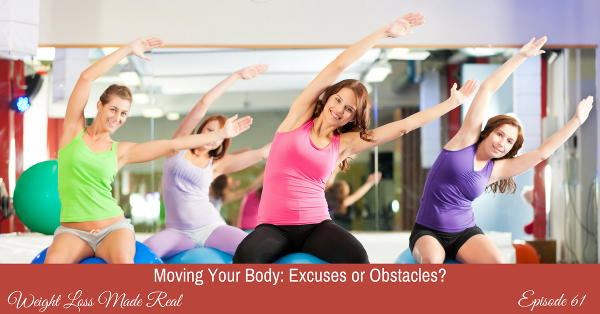 It’s helpful to look at your personal reasons for not moving your body. Are they excuses? Or are they obstacles? Learn the difference and I’ll help you find a way to make this happen that isn’t painful. Do you know how to make a plan, without getting lost in the research? And what about your thinking? You need to clean up that mind of yours so it doesn’t make moving hard, or something that will never happen for you. In other words, it’s all about your mindset. 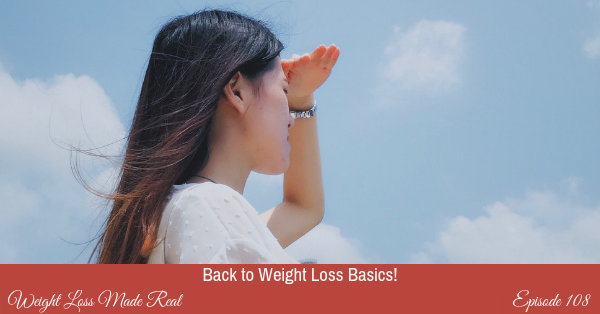 And finally, how to prepare for challenges that threaten to throw your new habit off track. Join me if you don’t think of yourself as a person who moves their body and let’s blast through your excuses. Moving can be life changing, if you bust through your excuses. Comments Off on Episode 61: Moving Your Body — Excuses or Obstacles? I’m Not the Life of the Party! Having reached a certain age, after much consideration, therapy and coaching, I have come to recognize certain truths about myself. When I was younger, I viewed these truths as faults. Things to definitely work on, as in my goals for the year and New Year’s resolutions. Now that I am mellowing and tuning into my own wisdom, I realize that these ‘facts about Cookie’ are not only NOT faults, but I have come to look at them as somewhat endearing qualities that I possess. I can laugh at myself more, much to the distress of my daughters, who tend to be easily embarrassed. Ok, so I’m not the life of the party. Any party. No matter what I wear or how I get ready. Never have been and never will be. But I know that I’m really comfortable and do well in small groups with intimate conversation. I’m a latecomer to technology, social media and all things related to my computer. But I’ve cobbled together a real business doing what I love, and learning or getting help in my weak spots. I’m a certified introvert. I’ll never get up for karaoke, so please don’t challenge me. But I’m an intense, intuitive listener. I’ve learned to hear between the lines. That trumps my singing ability every day of the week. There are certain subjects that make my eyes glaze over and drool come out of the corner of my mouth. In the past, I’d work really hard to get better at these things. Now I leave them to someone else, someone who comes more naturally to them. And I focus my energy on my own genius subjects. I’m good without being an expert at everything. What do I attribute this maturity, this relaxing of standards, and this self-acceptance to? It feels so much better to know who I am. What it is that makes me special. So, I’ll never be the life of the party. 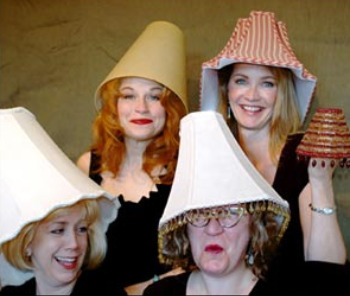 I have a feeling I wouldn’t look that good with a lampshade on my head, anyway. Comments Off on I’m Not the Life of the Party! 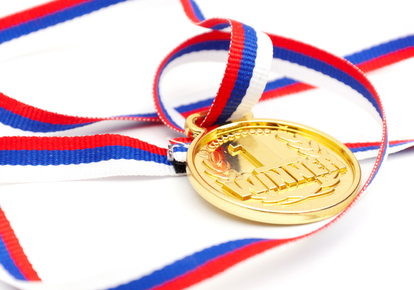 Did you know that almost all good coaches have their own coach? I love being coached in all different areas. It’s a way for me to stretch myself to become the best version of me. 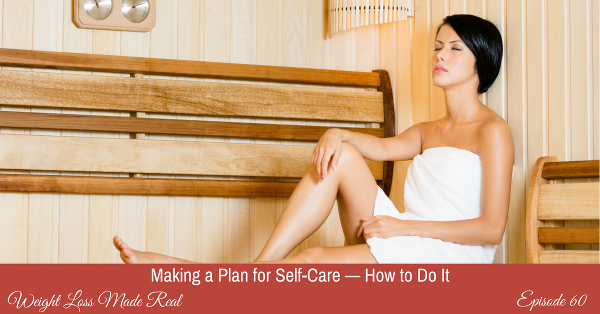 Self-care, which I’ve started calling self-love is one big way to take care of yourself. To dare yourself to really figure out what you need, and find a way to give it to yourself. Because that’s what most of us who eat emotionally are trying to do. We’re not trying to sabotage our hard work. We’re just trying to survive and feel better and do our best. However, that extra eating isn’t working. 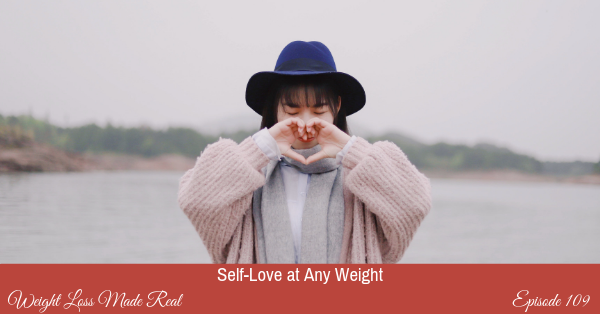 That’s why I invited one of my own coaches, Margie Beiswanger, to talk to me and you about how she makes self-LOVE a regular part of her life. 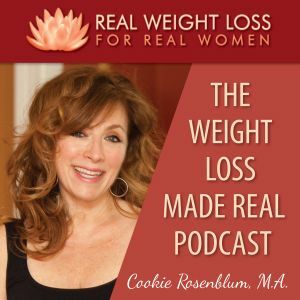 I thought you’d like to hear from a real live woman, who shares many of the challenges you have, and learn how she does it. I mean, how she really does it. 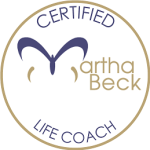 For several years, as I’ve been coached by Margie on growing my coaching business, somehow we’ve always managed to come around to whether or not I was taking care of me. And many times I wasn’t. 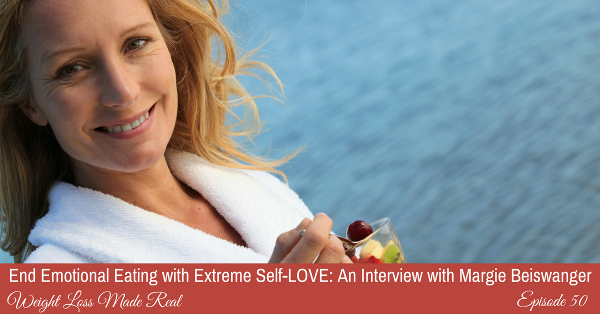 So listen as Margie and I talk about why self-LOVE for yourself is important, and why you might feel just a little guilty doing it, and how to get over that guilt. Now. Margie Beiswanger of Transform Your Brilliance delights in showing experienced coaches, consultants, holistic healers, change agents, and other transformative entrepreneurs how to translate their unique gifts and expertise into signature programs and products so that they can reach more of their ideal clients, leverage their time, expand their business, and earn a good living. 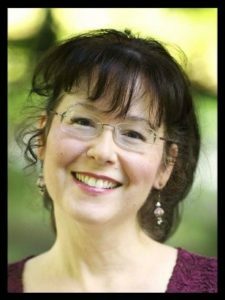 She is passionate about showing solopreneurs how their brilliance can shine even brighter! Get Margie’s gift, Create a Brilliant Vision for Your Life and Business here.